Many iPhone users enjoy designing their device’s alerts with custom ringtones of their favorite songs or sounds to personalize the device. While this is entirely possible to do for iPhone, Apple certainly hasn’t made it an easy process. Thankfully, we have put together a comprehensive guide that will make your experience entirely stress-free. To the relief of iPhone users everywhere, many third-party alternatives to iTunes have emerged the work around the frustrating restrictions by Apple. The best alternative that lots professional media (including getintopc.com, tricksworldzz.com, crunchytricks.com, etc.) recommend is iMyFone TunesMate iPhone Transfer . This app is equipped with an impressive list of features and functions that make personalizing your device easier than ever. Make and Manage Tones: Easily create tones from any song in iPhone or computer; transfer tones to/from iPhone selectively; delete unwanted iPhone ringtones, etc. Freely transfer purchased and non-purchased media files between iPhone and computer/iTunes. Back up iPhone media files to computer, iTunes, external hard drive and restore backups anytime. Delete unwanted media from iPhone selectively in bulk, for free. Step 1: Make sure your iPhone is connected via USB and open iMyFone TunesMate. Step 2: Click on the “Music” tab and select “Ringtone” from the sidebar on the left-hand side. Then choose “Ringtone Maker”. Step 3: Choose the song you want to make ringtone by using “Local Music” or “Device Music”. It will play the song for you. You can use the light-grey area to decide the start time and finish time for the tone. Step 4: You can use “Ringtone Audition” to preview the ringtone and save it to your computer or directly to your iPhone. Note: “Fade in and fade out” will be checked by default to make the tone sound smoothly. iPhone users may feel compelled to use iTunes as their primary vehicle for customizing their ringtone— it does seem to make sense that Apple software should be able to handle it. Unfortunately, Apple’s restrictions severely limit your freedom within iTunes. In order to set up your custom ringtone, you are still forced to sync your device with iTunes. Once synced to iTunes, Apple puts several frustrating barriers in your way in order to try to sell you one of their own ringtones from the iTunes Store. Step 1: You need to prepare your source song by importing it into the iTunes library. 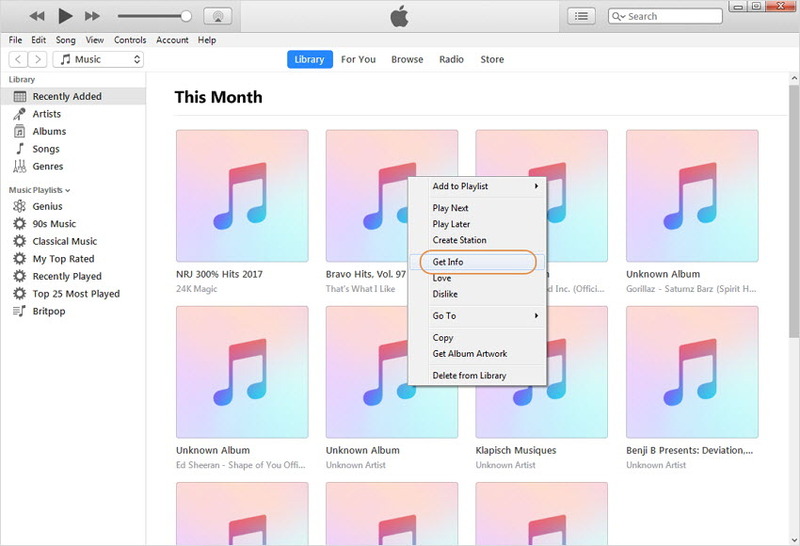 In order to do this, you need to launch the iTunes application and either drag and drop the mp3 or AAC file into the library, or click “File > Add File to Library” and manually find the song on your drive. 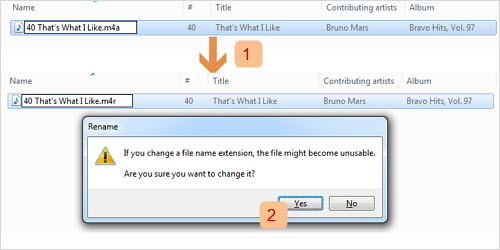 After completing this step, right click your chosen song in the library and select “Get Info” on Mac or “Song Info”on PC. 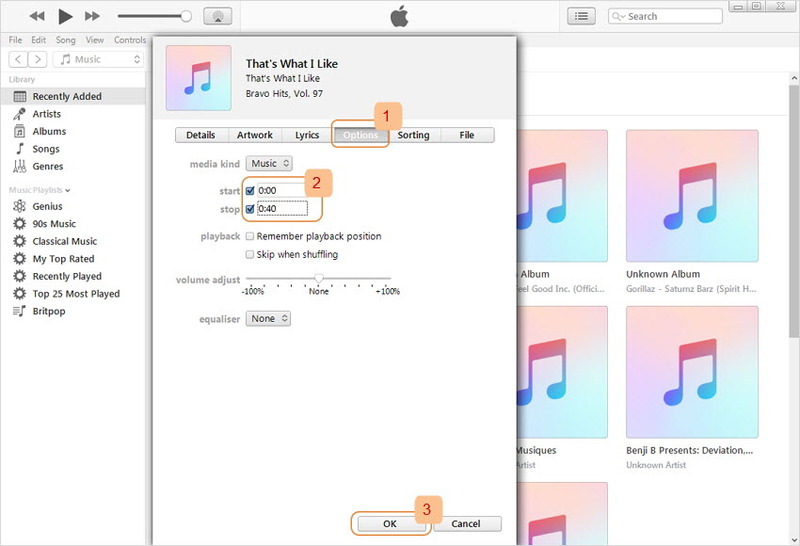 Note: If the song is in your iPhone, you need to extract music from iPhone to iTunes library first. Step 2: In the “Song Info” or “Get Info” window, look for the “Options” tab. After clicking the “Options” tab, you will have the ability to enter a specific start and end time for the song— this section will serve as your ringtone. Step 3: You will have to convert the desired section of the song into an “AAC” version. To accomplish this, you need to click “File > Convert > Create AAC Version”. Step 4: After creating the AAC version, right lick on the AAC song and choose “Show in Windows Explorer”on PC or “Show in Finder” on Mac, you will have to change the extension from .m4a to .m4r. Step 5: Reimport the altered .m4r into the iTunes library and sync it into to your device sound library. You will be able to find the tone within the “Sound” section of the “Settings” application on your iPhone. 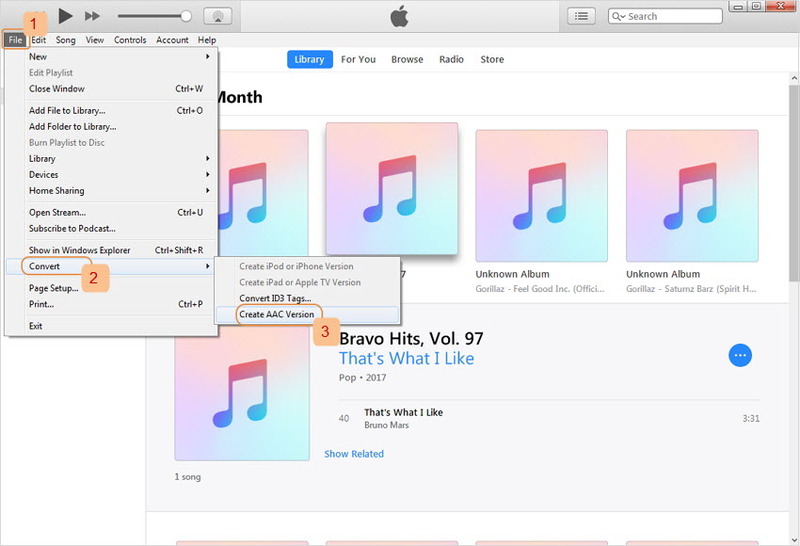 iTunes is designed mainly to support tones that were purchased through the official iTunes Store. Syncing tones to your iPhone will delete the customized tones from iPhone. What’s worse, it will erase your iPhone if you use different iTunes. Adding more annoying barriers, Apple have announced that they are completely removing the “Tones” tab from all future versions of iTunes. iPhone users are often directed to use iTunes as an “all-in-one” dashboard for customizing their devices, but its limitations are growing more and more restrictive. Thankfully, there are several intuitive alternatives that accomplish this task more efficiently. 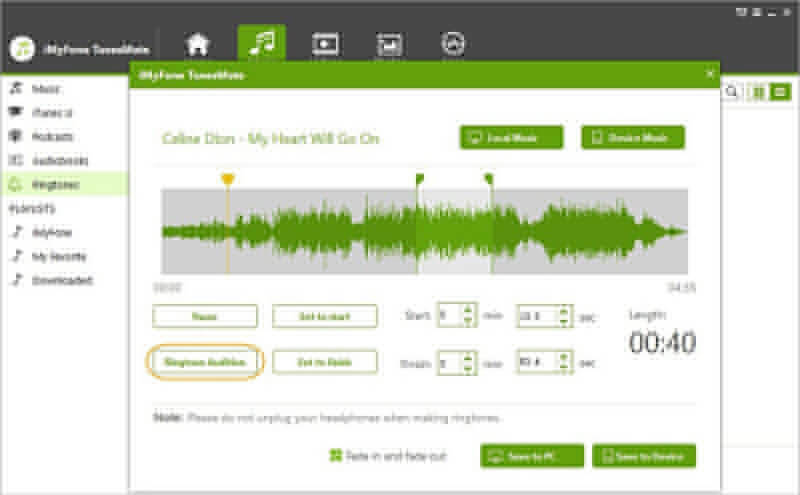 After a long search, iMyFone TunesMate easily stands out as the best alternative to iTunes.